Nose Revision Surgery and Surgeons: Is revision rhinoplasty the most expensive cosmetic/plastic surgical procedure? Is revision rhinoplasty the most expensive cosmetic/plastic surgical procedure? So there you have it, Revision rhinoplasty is in the top 5 (4th on above links list ) most expensive cosmetic/plastic surgical procedure out there. What's unfortunate is that the majority of the people needing revision rhinoplasty suffer from structural damage as a result of their primary or secondary surgery. It is unique when compared to the other cosmetic procedures because it's a health issue for many in terms being able to breath normal. 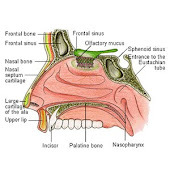 For example, like what happened to me, as has happened with many others, the primary nose surgeon over-resected the bridge of the nose and by doing so removed too much of the supporting cartilage, leading to nasal valve collapse, which makes inspired (inward) breathing through the nostrils difficult to near impossible. Even more frustrating and disturbing, is that revision rhinoplasty is not normally covered by health care system in Canada, at least not in any significant or proportionate amounts. And the ent's and plastic surgeons don't even try to help their patients with a out of province or out of Country referral , because they either don't understand the problem of nasal valve collapse &/or they figure its not worth the effort, since the government health care covers a nominal amount under Septoplasty. In the United States, some portion is recoverable if you have company or private insurance. The highest amount I read online was 50% of the surgery was covered. For Canada, I haven't heard or read any information about Insurance Coverage, I would suspect it would be the same as in the U.S. However If you have had nose surgery and problems with your breathing as a condition prior to you purchasing your Insurance I would pretty much guess most if not all the Insurance Company's wouldn't cover you. And I like many others had primary surgery when I was 18. Are synthetic nose implants a good idea?